Cars and trucks are some of the biggest contributors to greenhouse gas emissions. And so a number of automobile companies are exploring ways to meet governmental - and consumer - demands for cleaner drives. 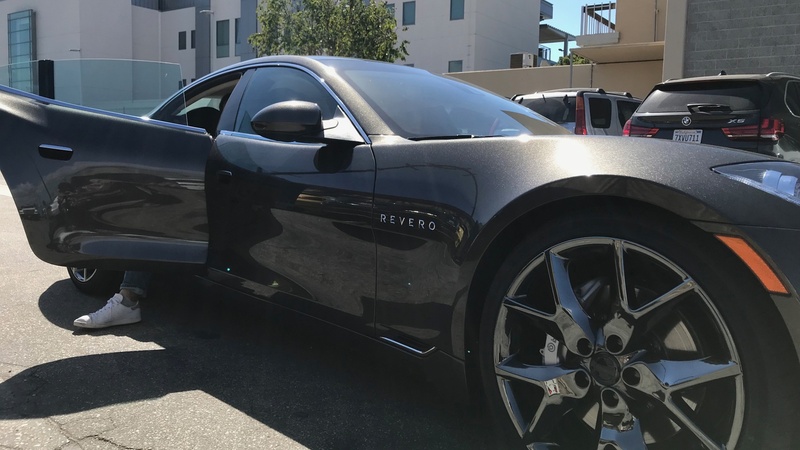 KCRW's Steve Chiotakis met up with the station's car and tech guy, Tod Mesirow, for a spin in a brand new Karma Revero. KCRW Car Guy Tod Mesirow pulls up in a 2018 Karma Revero. Photo credit: Ben Gottlieb.